The Yamaha YBB-201 Student Model Bb Tuba is an affordable instrument for avid learners. The instrument meets the ever growing needs of the modern day market. Featuring a clear epoxy lacquer finish and nickel-plated valves this reliable instrument produces rich, strong sounds and offers a large professional sized, yellow brass bell. The Yamaha is easy for a student to play and has accurate intonation. Ideal for any performance situation and built to last, this full-size tuba is the best beginner's tuba on the market. 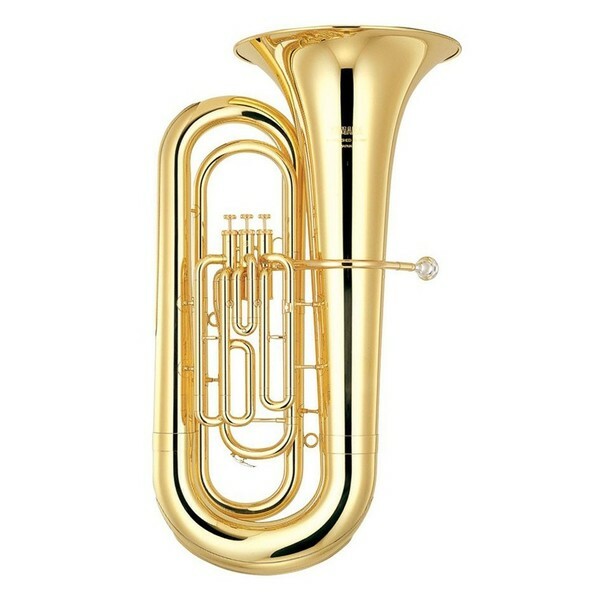 Yamaha's YBB-201 Tuba features hand-lapping pistons that prevents the manual, time-consuming finishing process which would eventually result in superior valve fit for noiseless, responsive action and easy tone changes. Hand lapping is a process which achieves the perfect balance between airtightness and smooth action and can now be achieved faster than ever. The intonation that is achievable when using the Yamaha YBB-201 Tuba helps learning players foster a feel for the correct pitch. The Yamaha YBB-201 helps beginners to learn the phrasing of the tuba because of its responsiveness.